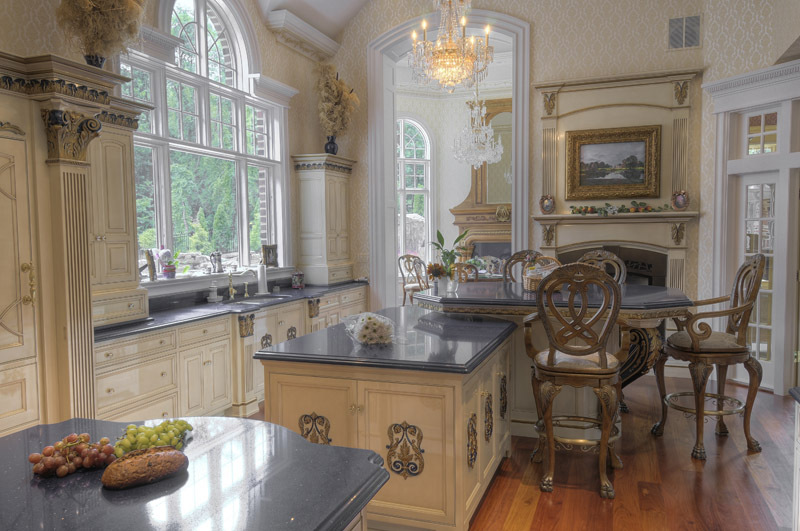 This extravagant kitchen lies within a beautiful home in Harrisburg, PA. It’s style represents gilded Victorian. 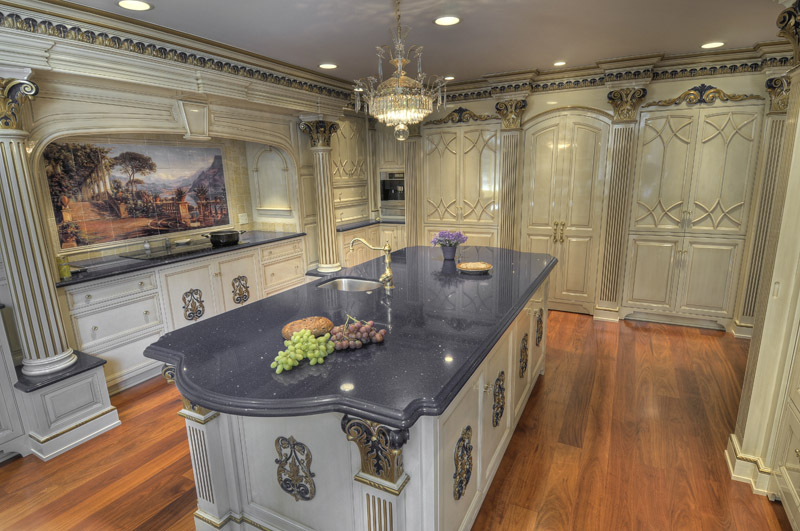 Finished in a creamy white paint, umber glaze and accented with gold and silver leafing and finally completed with high gloss emphasize the elaborate detail of this kitchen. 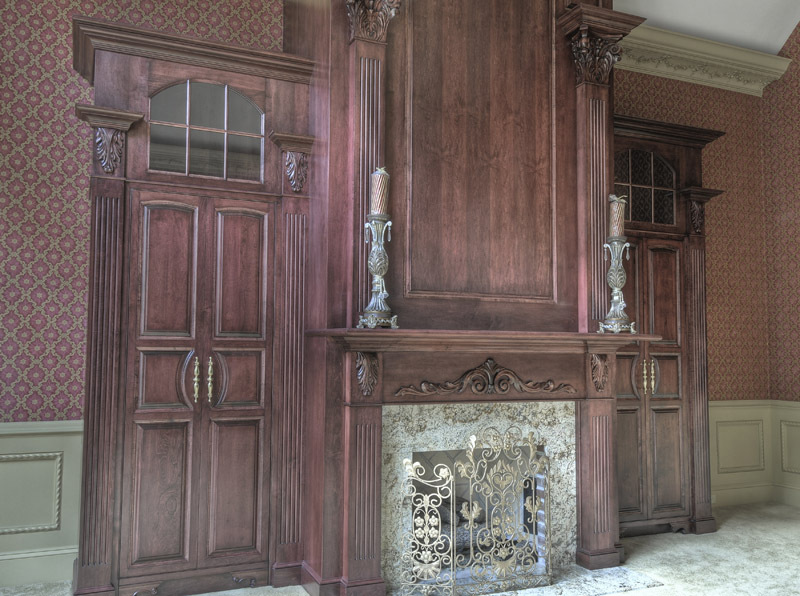 Many hidden conveniences are featured while keeping the architectural integrity intact. Along with the integrity of architecture is the beauty of architecture that can be found when structure, function and solid design co-exist, as seen in this kitchen.